At some point we all come to the point of thinking about the choice of a trawler vs a sailboat. Or how about the best of all possible worlds? 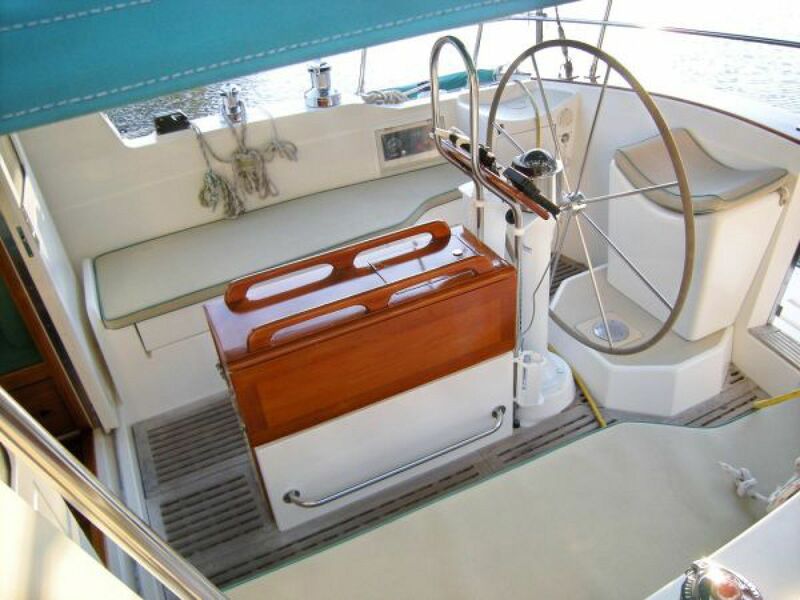 Are you thinking about sailing in a way that is less work, offers more space and a warm inside steering station? Of course you are. It is a reasonable idea at some point, and you know the point! When you awake to the idea, you will find that the Northeast 400 from Cabo Rico is in fact the boat that makes total sense! Cabo Rico the well regarded builder of ocean going sailboats designed and built a beautiful sailing vessel in the 90s. It is a beautiful boat that sails quite well and it motors very, very well! This boat sails really well because it is designed by Mark Ellis' a well known designer of cruising sailing boats and innovative designs. As for Cabo Rico, you know that they have been building boats in Costa Rica for more than 40 years. Their factory had a dedicated work force for many years. 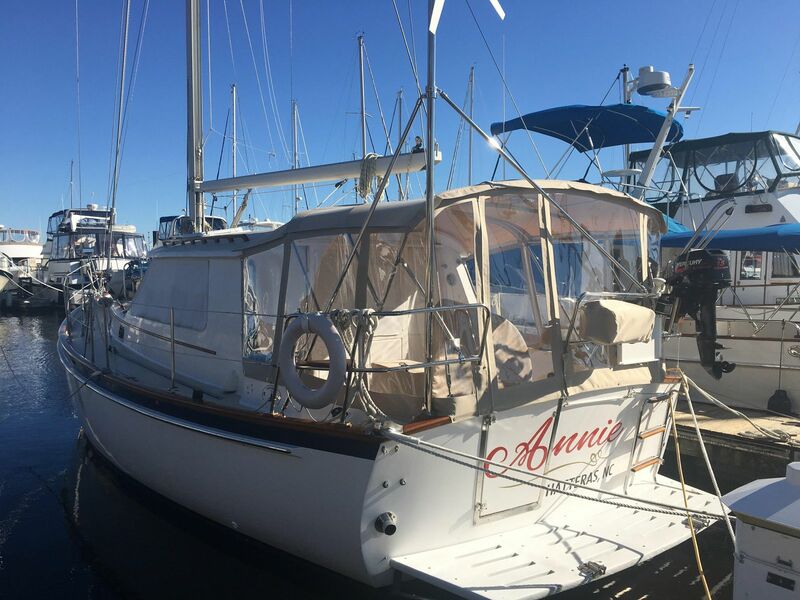 Certainly the Cabo Rico was on every sailors list as one to wish to own. 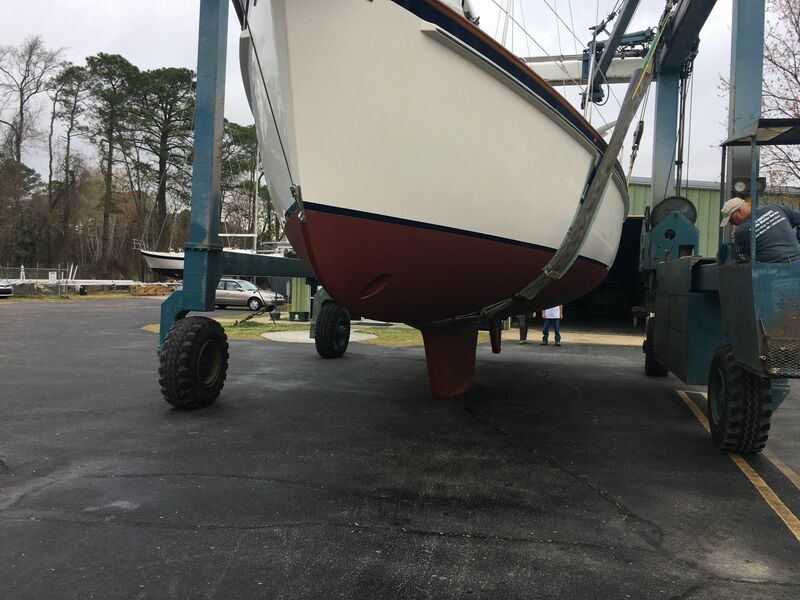 The CR Northeast 400's hull is robustly built and cored for sound and temperature insulation and of course to make it a bit lighter. They are laid up with blister resistant vinylester resin and they have a very thick layer of fiberglass on the outside. The deck like most all decks is cored with balsa with solid glass in high-load areas and around all penetrations. 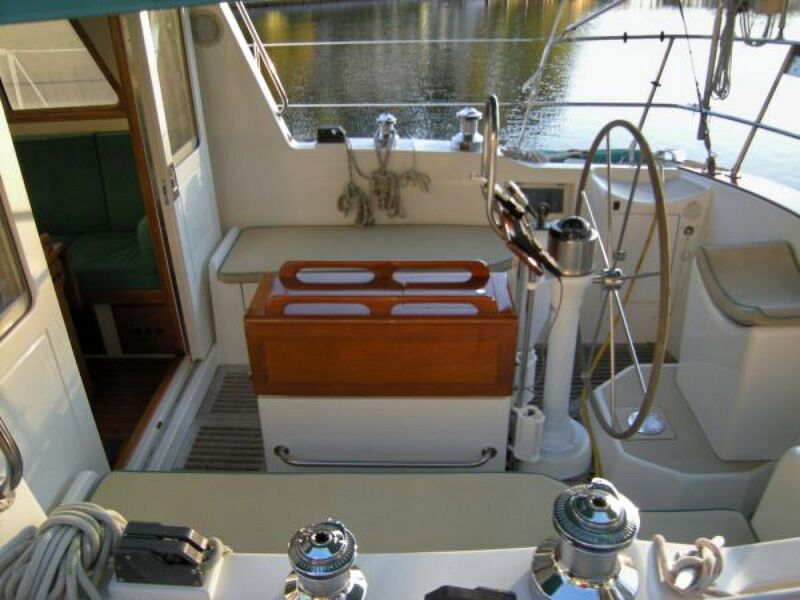 The hull and deck are joined with a U-channel joint covered by a beautiful solid teak caprail. The hull has an inward-facing flange and the deck wraps over this flange forming a raised bulwark. The joint is bonded with 3M 5200 and through-bolted with stainless steel fasteners and fastened with aircraft-style locking nuts. This joint results in a very stiff structure, eliminating any flex underway. Further, the boat is built with a rugged fiberglass grid system to form a rigid monolithic structure. The ballast is a Mars Metals lead keel securely bolted into the massive grid system. Cabo Rico continues to use true structural bulkheads fiber glassed directly to the hull the way real boats are built. You’ll feel secure! On deck, the high bulwarks and secure lifelines give you a comfort you’ll not find on many sailboats. Wide sidedecks with ample handholds along the pilothouse provide safe access from the cockpit to the foredeck. You’ll be happy to know there is a proper helm station in the cockpit. While the inside pilothouse is great on a cold or wet day on the nice days, there is no better place than the cockpit. The wide, deep cockpit with comfortable secure seating. The large table has internal storage and the cockpit lockers are large enough for full cruising gear and even bicycles. And…know that the pilot house is really really nice with great visibility! You can actually sail, or motor sail with a beautiful important good view. Once at anchor, let the enjoyment really start. The boat is a super duper platform for fishing or just enjoying the water. 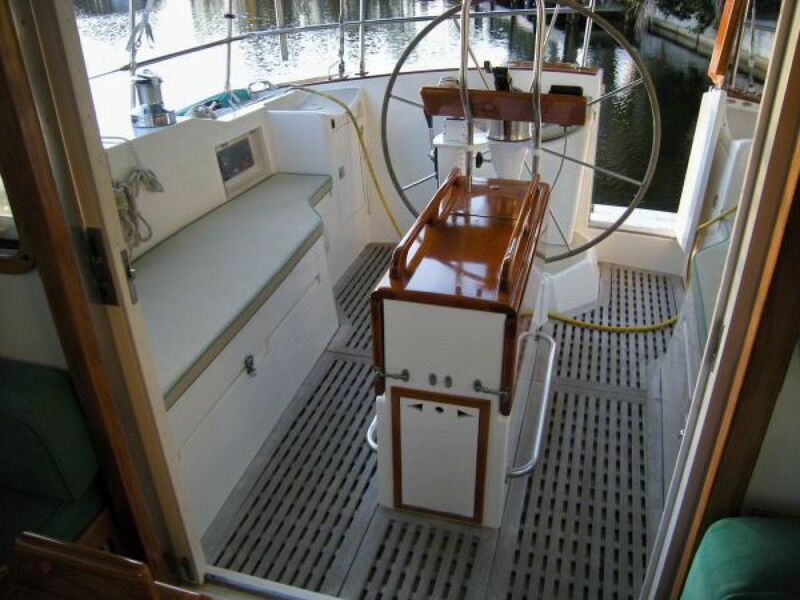 The aft cockpit has a wonderful transom boarding door and full swim platform. This makes the CR NE 400 a great platform for diving or swimming off the boat. This is amazing in the Bahamas for one place! And you want to know about the down below? 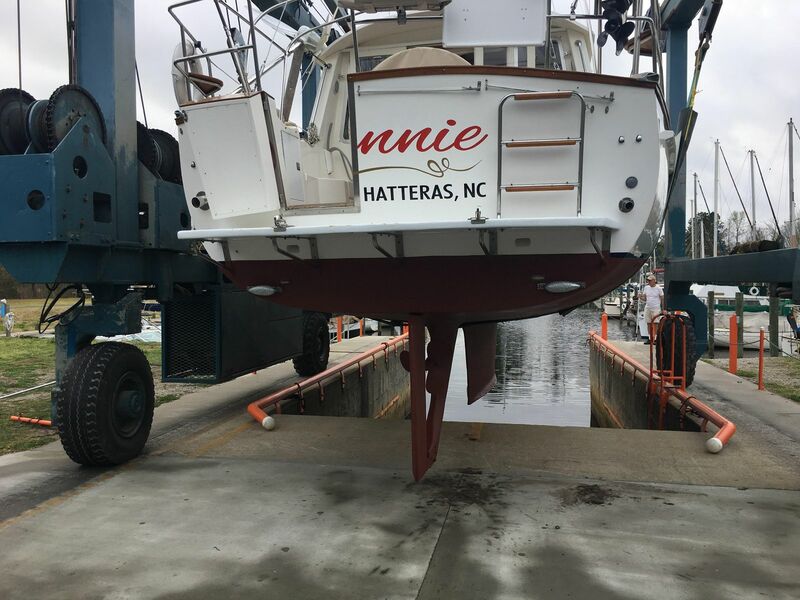 Well, there really is no down below on this boat. Firstly, you step up, not down. You step through the sliding door from the cockpit to the salon you find yourself in a bright, wide open space. It’s lovely. The inside steering station has good visibility and it is the place to be when the weather turns cold and wet. Will your sailing partner be happy? Yes!! 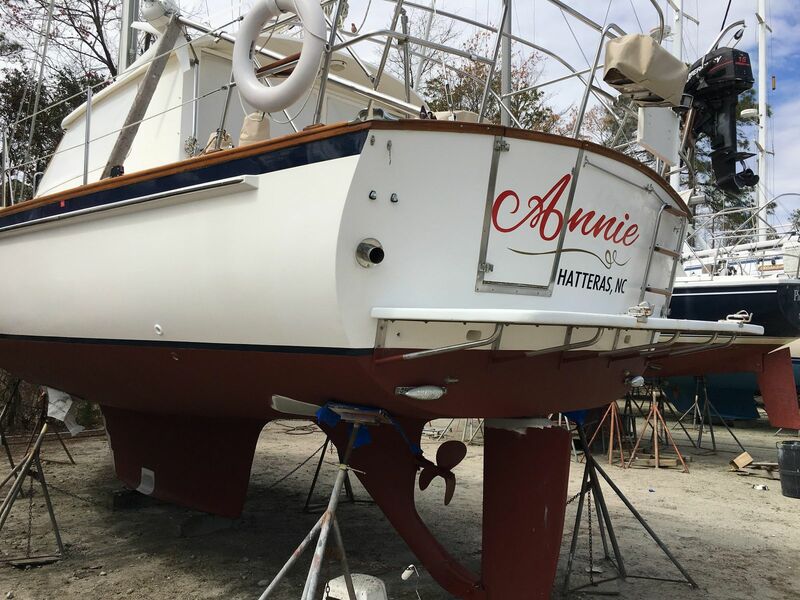 Our offering, Annie, is a very successful Mark Ellis performance cruising design that sails extremely well and offers cruising speeds of 7-10 knots under power (better than many trawlers in this size range). 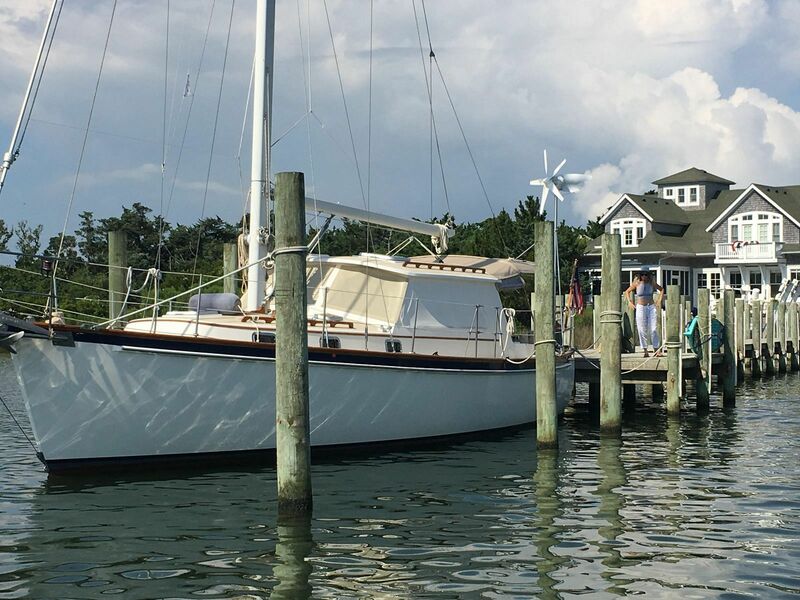 This superbly maintained cruising yacht has had the best of care and features thoughtfully selected and properly installed systems, equipment and electronics. No sailing yacht her size offers a better interior accommodation or a more comfortable cockpit. Enjoy the seasons with new air conditioning system and diesel heat. With the new cockpit enclosure you can enjoy living aboard and cruising all year long! This is amazing in the Bahamas for one place! Our lovely offering Annie, will float your boat! She's spectacular. Motor at 10 knots or sail! So comfortable for cruising the East Coast and Bahamas!